Le Havre has announced that it is expecting 125 calls next year, compared to 95 this year. For 2016, that includes 21 days with two ships in port, two days with three ships, three overnights, and 10 inaugural calls. The first-time callers will be the Ovation of the Seas (April 19), AIDAprima (May 3), Viking Sea (May 4), Koningsdam (May 18), National Geographic Orion (June 4), Disney Magic (June 15), Mein Schiff 5 (August 31), Monarch (September 15), Amadea (September 20), and Norwegian Star (October 3).. 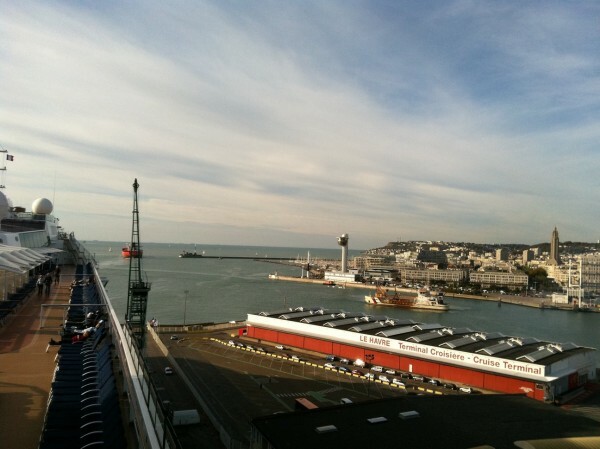 The first ship call will be on February 25, and from then on, Le Havre becomes a year-round cruise destination, thanks to weekly calls by the AIDAprima, every Tuesday. More calls mean more visitors: 280,000 passengers are expected, an increase of 25 percent over 2015 and 100,000 crew members.